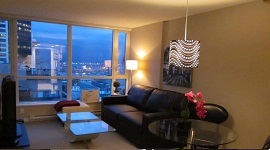 Are you looking for a furnished corporate rental in Vancouver, Richmond and the Lower Mainland? 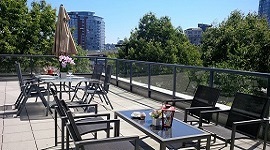 Sterling Furnished Suites is the premier place for Greater Vancouver furnished rentals, as well as extensive furnished rentals located within a 30-minute drive to Downtown Vancouver. Our furnished suites will impress you with their many features, furnishings, and superior feel. If you are looking for a corporate housing provider that suits your needs, you will be pleased with our large network of properties outfitted with tasteful, modern amenities and appliances. Our corporate housing suites are located in city neighborhoods with easy access to transportation and restaurants, shopping, and cultural hotspots. We have tastefully furnished apartment rentals specializing in Vancouver, Richmond, Burnaby and throughout the Lower Mainland area, as well as rapidly-expanding furnished rentals in Greater Vancouver Richmond BC. Contact Us to get the best in furnished accommodation from Sterling Furnished Suites.